In October I attended the 2016 National Human Settlements conference in Port Elisabeth. I was invited to present a paper on gentrification that I work (see previous post). Minister Lindiwe Sisulu from Human Settlements was there, as were some international speakers. It was an interesting and shocking conference. First of all the location where the conference was held was in the parking garage of the Boardwalk hotel. There was a reason for it: the conference should have taken place at the university but with the student uprisings it was too unsafe. So they tried to make it as nice as possible. But two whole days in the parking garage with no natural light made it difficult to keep up the spirit. There were many speakers who stressed the point that the current Human Settlement policies and subsidies are not working. Apartheid planning is still very much prevalent. It is still cheaper to built the RDP housing outside of the cities, even though everyone knows you’re not helping the people who need it the most. The reason? The land is cheaper. This unfortunately is more important than the needs of the target group; like living close to infrastructure and jobs, being part of city life and to not have to spend more than 30% of their salary on commuting. Minister Sisulu, in my opinion, seemed to miss an important point in her speech. She was focusing on the change from Housing to Human Settlements and how there are not enough skilled professionals in this field. I have to disagree with that. I have met many skilled people, but politics doesn’t listen to them. Minister Sisulu her answer to this lack of knowledge was to create a new course on Human Settlements. But many universities in South Africa are already offering several courses on Human geography, city development and planning and even on Human Settlements. Instead her speech should have focused more on changing practice and policy and how to do that taking all the research into account that has taken place over the years in South Africa. 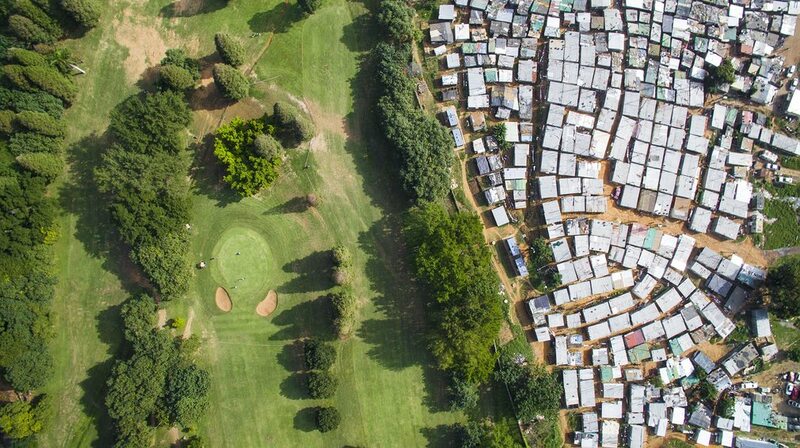 And then I saw this article: Divided cities: South Africa’s apartheid legacy photographed by drone. It shows exactly what cities look like nowadays. And these developments have not only taken place during Apartheid. 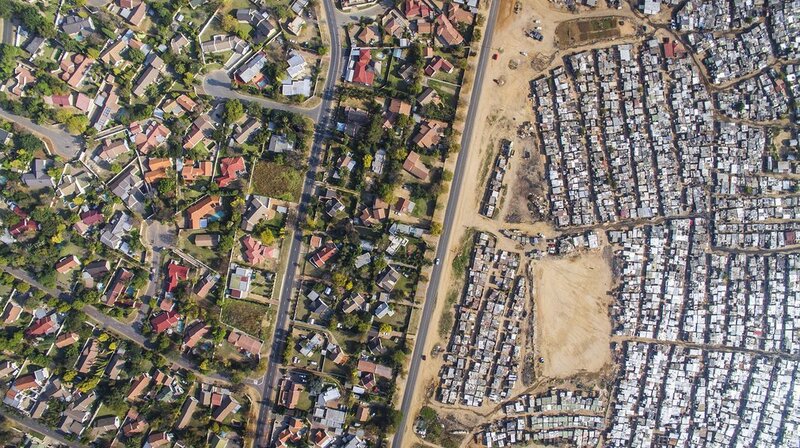 Many of these photo’s represent current practice of city development and housing in South Africa. We are stuck, the question is how to change thinking and practice in South Africa? Is there a way how we can actually use all the information available from research? How can critical thinking become leading? Do we have to experiment more? How to design a vision that is creating better cities for the future? I’m not sure where to start to be honest.